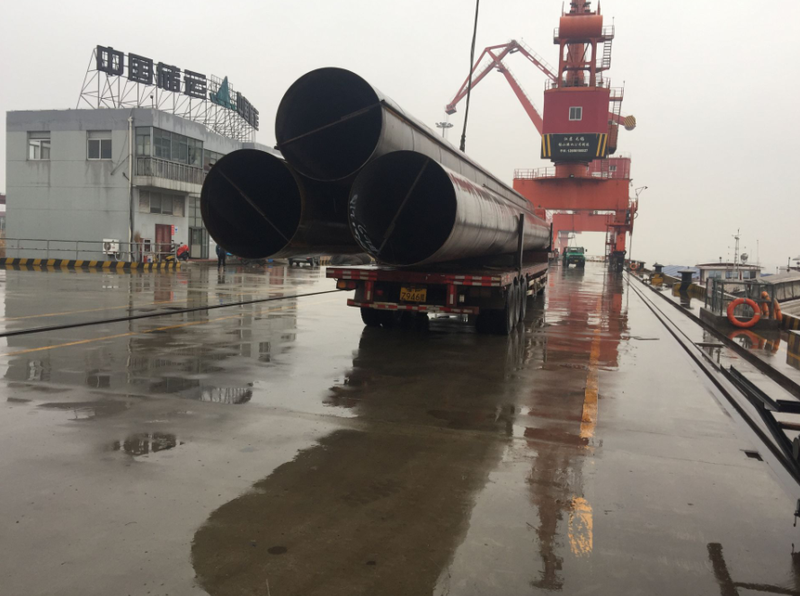 At the very beginning of 2017, Shunli has been awarded with 18,000MT Tubular Pipe Pile to a port construction project in Middle East. The dimensions of the tubular pipe piles are OD700 and OD1210, with maximum length 70m. Shunli’s hot-rolled interlocks have also been welded onto those tubular pipe piles so that they could be connected with each other during installation. Shunli’s tubular pipe piles are getting more and more popular around the world.